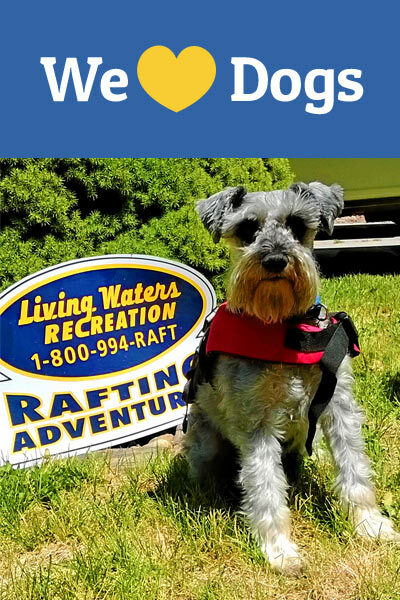 Your dog is a member of the family -- so bring them along on a river trip. ** Pets recommended on the Middle Klamath (Tree of Heaven) stretch only. California whitewater rafting trips are great fun for families, youth groups, school trips, adventure seekers, or nature lovers. Living Waters Recreation offers whitewater rafting trips in California from one half day - to - two day trips. Our prices include all meals! Living Waters Recreation, based in Mt. 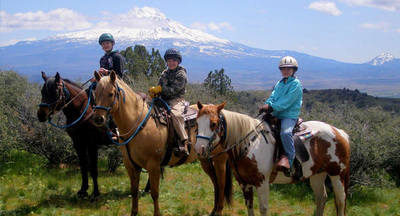 Shasta, California, offers professionally guided whitewater rafting trips, in season, on the lower, middle, and upper sections of the wild and scenic Klamath River, redwood-lined Scott River, upper Sacramento River, California Salmon River, and picturesque Trinity River. Our California whitewater rafting trips are competitively priced. 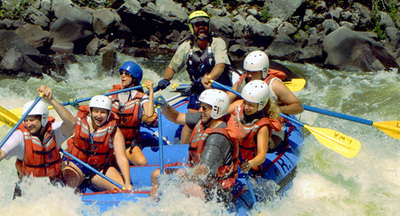 Our professional guides know these California whitewater rafting areas thoroughly. River rafting is what we do best. Give us a chance to help you with your next whitewater rafting adventure in northern California. Ask about our special group discount for California whitewater rafting trips. We also offer a 5% discount for guests returning to California for whitewater rafting trips.